A Division Bench of the Hon'ble Supreme Court has held that decisions passed in section 11 Applications, under the Arbitration and Conciliation Act, 1996, (“the Act”) are not binding precedents. This judgment was delivered in the case of State of West Bengal & Ors. v. Associated Contractors (incorrectly cited as S.Balachandran v.s M/S Ramaniyam Real Estates Ltd.in some places). The entire text of the judgement can be found here. After a detailed analysis of sections of various sections in the Act, especially section 2(e) and section 42, it was also held in the same decision that that Section 11 Applications could not to be moved before the “court” but instead before the Chief Justice (“CJ”)of the Court, or his designate. This is regardless of the fact that such CJ or designate are required to decide the Application judicially and not administratively. Even, Section 42 of the Act would not apply to applications made before the CJ or his designate they do not fall underthe scope of “court” as defined by Section 2(1)(e). (a) The phrase “with respect to an arbitration agreement” used in section 42 makes it clear that the provision will apply to all applications made whether before or during arbitral proceedings or after an Award is pronounced under Part-I of the 1996 Act. (b) However, Section 42 is applicable only to Applications made under Part-I of the Act, if they are made to a court as defined. Therefore, since Applications made under Section 8 are made to judicial authorities and since Applications under Section 11 are made to the CJ or his designate, the judicial authority and the CJ or his designate not being court as defined, such applications would not be within the scope of Section 42. (c) Section 9 Petitions being Petitions made to a court and Section 34 Petitions to set aside Arbitral Awards are applications which are within the scope of Section 42. 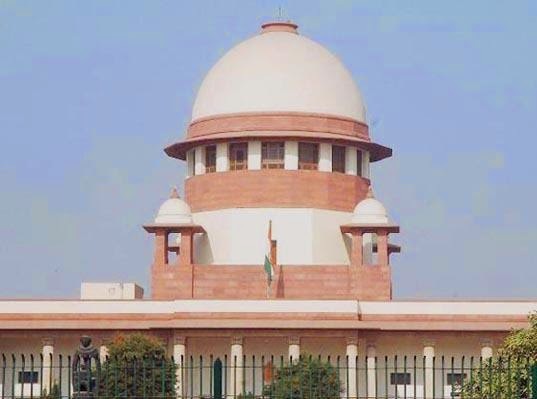 (d) The Hon'ble Supreme Court is not a “court” within the meaning of Section 2(1)(e), and regardless of whether the Supreme Court retains session or not after appointing an Arbitrator, applications will follow the first application made before either a High Court having original jurisdiction in the State or a Principal Civil court having original jurisdiction in the district as the case may be. (e) Section 42 will apply to applications made after the Arbitration proceedings have come to an end, if they are made under Part-I. (f) If the first application is made to a court which is neither a Principal Court of Original Jurisdiction in the district nor a High Court exercising Original Jurisdiction in the State, such application would not be a court as defined would be outside Section 42. Also, an application made to a court without subject matter jurisdiction would be outside Section 42.